They say every dog has his day, but now they’re finally getting their night, too. Because, after all, every dog deserves a ball … right? 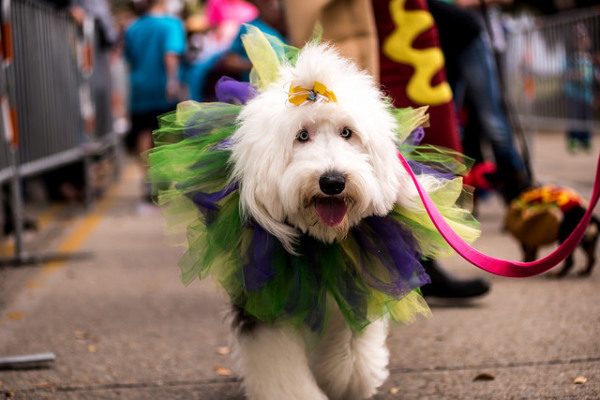 For24 years, Louisiana’s famed “Mardi Paws” Parade has come at the tail end of Carnival season. 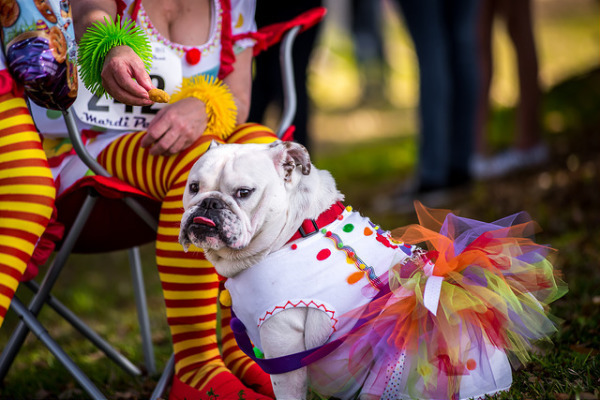 This unique Mardi Gras parade designed for canine participants and their peopletakes place along the shores of Lake Pontchartrain in Mandeville, just across the causeway from New Orleans, on the Sunday after Fat Tuesday (that’s February 18, 2018). The event has become wildly popular, leaving folks begging for more Carnival season fun with a canine twist. 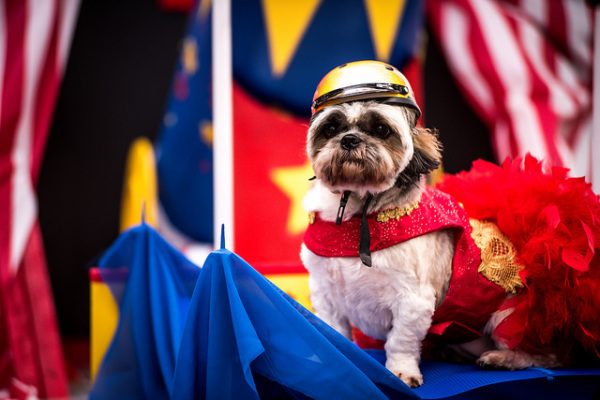 At last the Mystic Krewe of Mardi Paws is fully embracing the social aspects of the season by hosting its first-ever Mardi Gras ball. 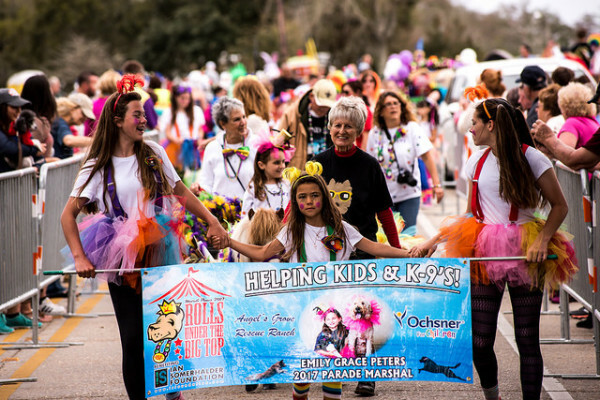 The krewe is demonstrating that you can teach an old dog new tricks by introducing the “Mutts to Models Ball,” which will be held the night of Saturday, January 2o, 2018. Whereas other balls hosted by krewes across the state tend to be by-invitation-0nly affairs and/or incredibly expensive propositions, Mutts to Models is open to everyone, with general admission tickets priced at just $125 each and proceeds going to charity. The host of the evening is Ian Somerhalder, an actor celebrated for his roles on the television series “The Vampire Diaries” and “Lost.” An ardent animal lover who grew up in neighboring Covington, Louisiana, Somerhalder worked like a dog to create his namesake foundation, which empowers, educates and collaborates with people and organizations that have a positive impact on the planet and all its creatures. The Ian Somerhalder Foundation(ISF) has purchased 100 acres of land near Mandeville. About 70 of those acres will be set aside to preserve the bayou, and the remaining 30 acres will support pet projects that serve the needs of animals, youth and the community at large.Scott’s Wish, which provides aid for patients with leukemia and life-threatening illnesses, is the other beneficiary of Mardi Paws events. Come January 20, there won’t be any doubt about who let the dogs out. 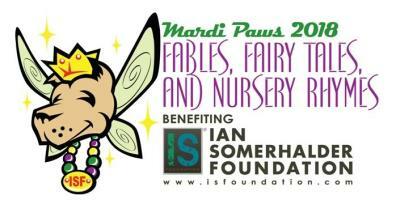 The Mutts to Models Ball, which will take place at the Fleur de Lis event center in Mandeville, will feature celebrities, local philanthropists, media personalities, and veterans and other heroes walking the runway with their dogs.Among the models will be Somerhalder himself, who be walking with a canine representative from one of the organizations that’s been helped by ISF. Another “model” will be Army veteran Erick Scott, who received a black lab named Gumbo from the K9s for Warriors program after serving three tours in Iraq. 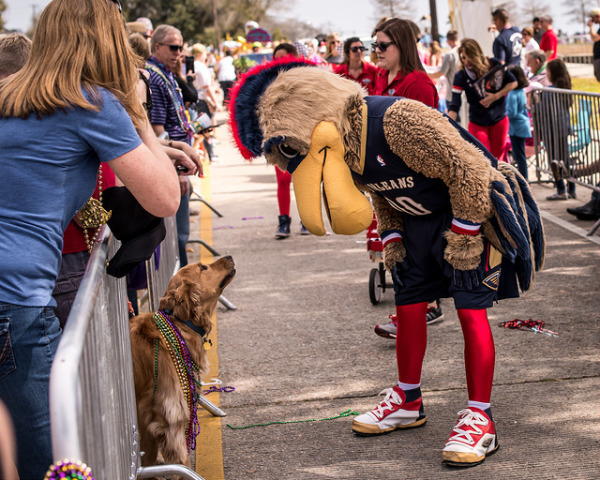 Gumbo was sponsored by NFL coach Sean Payton of the New Orleans Saints, who donated the funds to train the dog and also gave him his Louisiana-centric name. The festivities will start6:30 p.m. with a VIP cocktail reception, followed by the runway show and after-party. It’s going to be the “mutt-attend” event of the Carnival season. A highlight of the evening will be the presentation of the 2018 canine court, with the top dogs wearing fetching king and queen robes designed by Mary Viveiros of the House of Privilege Canine Couture. The runway show will be produced byPenelope Francis, a global brand strategist based in Miami and Los Angeles and the cofounder and creative director of her former luxury brand, Fifi & Romeo. Models will be showcasing a private collection from Louisiana legend Raoul Blanco Couture. Blanco dresses a loyal following of society’s “who’s who” around the globe. The event is open to human attendees; canine guests are limited to the model participants. 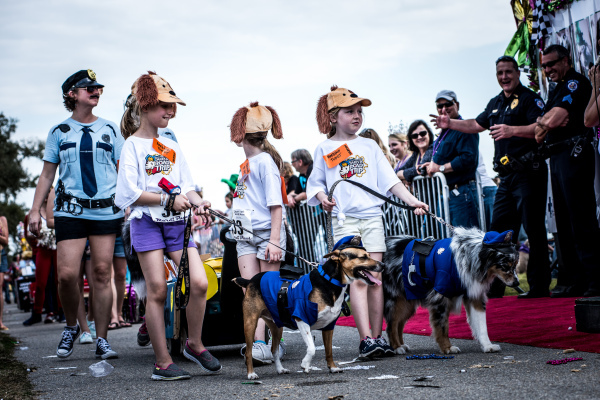 All attendees – including the four-legged models, who will also have their very own doggie green room – will receive swag designed to make tails wag. There are still tickets ready for purchase, and once they’re sold out, additional admission will be available via sponsorships. For those who miss the ball, there’s always the parade itself. Mardi Paws rolls on the afternoon of Sunday, February 18and this season will highlight the theme “Fables, Fairy Tales & Nursery Rhymes.” The theme seems fitting for Somerhalder and his wife, actress Nikki Reed (perhaps best known for her role in the “Twilight” series), who welcomed daughter Bodhi Soleil Reed Somerhalder on July 25. You could say they’ve been “boning up” on their children’s literature lately. For more information about the ball or tickets, please visit www.MuttstoModels.com. To plan ahead for the parade, please visit www.MardiPaws.com.